MOVE GRAND OPENING – JOIN US! 17 MayMOVE GRAND OPENING – JOIN US! 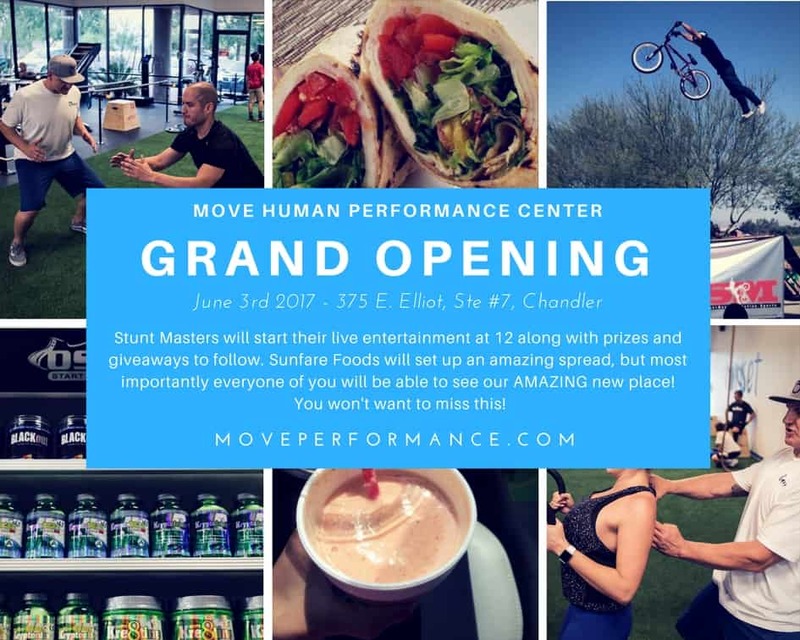 We invite you to experience the new Move Human Performance Center during our exciting GRAND OPENING EVENT on JUNE 3RD! Stunt Masters will start their live entertainment at 12 NOON along with prizes and giveaways to follow. Sunfare Foods will set up an amazing spread, but most importantly everyone of you will be able to see our AMAZING new place! You won’t want to miss this!